You must be at least 18 year old to rent any equipment from Oregon Outdoor Sports with a valid driver's license. You must be familiar with operating the equipment you are going rent. If you are chartering a boat you can be younger than 18 years old with a signed waiver from your guardian. You must also have a verified credit card on file for the security deposit if your renting equipment. The main renter must have the same name on all documents; credit card, driver's license, and contract(s) signature. Depending on your rental equipment desired we require a security deposit of $500.00 to $3,000. This deposit must be done on a credit card or cash if you choose. The deposit or money is only held until you return to make sure no damage or other fees have incurred during your rental period. What is our reservation & cancellation policy? To reserve your boat rental or chartered boating services there is a $50.00 to $300.00 non-refundable reservation fee, per piece of equipment that will be applied toward your total boat rental, waverunner rental, vehicle rental or any other service that we offer. It is not an additional fee. This reserves your equipment for the time you specify. Cancellations must be done 60 days in advance of any rental or chartered service otherwise the full quoted price is due when canceling the service. You may purchase cancellation insurance up to 3 days after the time of reservation for only 10% of your total rental rate. This will allow you to cancel up to 48 hours in advance of your rental start time. No cancellations allowed within 48 hours. You may change the date of your rental equipment from that which was originally scheduled if available and only if done 72 hours or more in advance. However the original quoted rate must be the same or more than what equipment or amount of days you are changing to; otherwise the original amount must be honored even if the equipment or amount of days you are changing too is less. What do I need if towing the equipment? You will need a 2" ball to tow any of our trailers; you also need a 4 flat trailer light hookup. Or adapter, we do rent the adapters and hitches for $5. What if I don't have a tow vehicle? We have a couple options if you do not have a tow vehicle, you can rent one from us, or we can deliver and pick the equipment wherever you would like; for an additional cost. What equipment comes with my rental? They will come with all the safety equipment required for the machine you are renting; fire extinguisher, paddle, flotation device, tie downs, buoys, anchor, flag, life vest for how many the boat holds. What equipment is an additional cost? Accessories you may rent for an extra charge are; additional life vests, helmets, wakeboards, water skis, kneeboard, tubes, slalom ski, gas cans, and ball hitch, pigtail or adapter for light hook up. Can I do water sports behind the waverunners, jet skis, and sea doo's? Yes on our jet skis that are 3 seater's. If pulling a rider you are required to have 2 people on the jet ski; one person drives the jet ski, and the other watches the rider. There can only be one person being pulled behind the jet ski, and there must be an empty seat on the jet ski for the rider to get back on when they are finished. Who can drive a boat, PWC, jet ski, or waverunner? Anyone can drive a boat if you are 18 years or older with valid driver's license, and have signed the contract. To operate a PWC you must be 18 years or older with a valid driver's license, and have signed the contract. We do offer temporary boaters license but it is a good idea to go online and get one yourself. They last for life. How long will our boats or jet skis last on a tank of gas? On a full tank of gas our jet skis will last 3-7 hours depending on how hard you run them. When our boats are full they will last 6-10 hours running time depending on the model of boat. We rent gas cans for people who would like to run them longer. Where can I take my recreational equipment? Any of our recreational equipment can be used anywhere in the USA where permitted by law. The jet skis and boats can only be used in fresh water. What time is pick up and drop off of rented equipment? All rentals and charters are scheduled to suit the customers request at the time of inquiring or reserving the equipment. During check-out we go over the equipment and take video of the rented equipment to ensure that both the renter, and Oregon Outdoor Sports is protected in case of any discrepancies in damages or other charges that can accrue. If any damages of any sort happen during the time of rental the renter they will be responsible for all cost to repair the damages. You provide a credit card on that we keep on file give us full authorization to charge that card for anything relating to the damage. Including parts, shipping, transporting, labor. We use square and you give us your permission to sign your name to process any charges due to damage that has happened during the time of your rental. Oregon Outdoor Sports does not allow anyone to fix the equipment except certified dealers approved by us, there are some exceptions. We do offer a third party Insurance for the renter to purchase if they would like collision and liability coverage. Rentals are rented As Is where renter is responsible as if they just bought it. The jet skis are designed to go in the water but not under water over the rim. If they are returned to wet there is a minimum $100 charge applied or kept from the deposit, The Starters hold water once flooded and damage with in 2 weeks once flooded. Water can also get into the fuel system through the breather tube if tipped to hard or flooded with water. Please respect the equipment. Sometimes things such as the battery being ran down, due to not knowing how to prime an outboard or throttle only on a cold start on an inboard. So know what you are doing. Many tutorials online, ask if you don't know, or if something isn't working. The fishing boat and pontoon boat both have outboard motors. The renter must understand how to pump prime the fuel line. In the case of the motor cutting out because of an air lock it is the renters responsibility to prime the fuel line. The fuel line on an outboard can get air in the line sometimes, even from towing the boat and the fuel sloshing around. The wakeboard boat may need the throttle only button pushed to prime the fuel to the engine the first time starting during the day. Also a renter responsibility. Renter is to read all of the contract before or at time of pick up. This contract is to protect Oregon Outdoor Sports LLC from damage and liability caused by others. We are here to provide you with tools to have fun and an experience. We are not responsible or liable for anything that could possibly happen. We rent boats but are not on a lake so we can not test them from one customer to another. Their for we don't guarantee anything. You take the craft: Boat, Jet Ski, Pontoon Boat, Sail Boat, Kayak, Canoe, Paddle Board, Tube, Snowmobile, Motorcycle, etc. "as is" with you inspecting every part to determine its worthiness for you intended use. You have 15 minutes from the time you put the boat in the water or "test" the item to return it in same condition. After that point you take full responsibility and liability of the item to see that you return it in same or better working and physical condition that when you picked it up. Continue at your own risk. Be Safe, Be Sober, Be Smart! LESSEE TO READ AND AGREE TO ALL OF THIS AGREEMENT, By picking up a "Craft: Boat, Quad, Jet Ski, Pontoon Boat, Sail Boat, Kayak, Canoe, Paddle Board, Snowmobile, Tube, etc." you are agreeing to these terms. By providing access to any of Lessee's credit cards lessee is agreeing to this contract. By entering or being around any property owned or managed by Oregon Outdoor Sports LLC you agreeing to these terms and conditions. In consideration of the agreement herein, Oregon Outdoor Sports LLC (herein after referred to as the LESSOR) agrees to lease to the undersigned (herein after referred to as the LESSEE) the craft and equipment described herein. In the event the craft is not returned at time specified herein. Said LESSEE agrees to pay for OVERTIME at rate of twice the rental cost per each day. Lessee agrees to allow Oregon Outdoor Sports to record and share any use of equipment or communication with Oregon Outdoor Sports LLC and affiliates. Deposits can be accepted in form of cash or credit card. Oregon Outdoor Sports LLC processes credit card transactions via Square, Square can take up to 7 days to process refunds. If the damage deposit is taken by credit card the funds might not be available for up to 7 days from the time the leased item has been returned fully inspected and tested. The LESSEE certifies that he/she has examined the item/craft/toy and equipment and finds it acceptable and suitable for the purpose for which it is leased. LESSEE accepts the item/craft/toy in "AS IS" current condition and is responsible for the item/craft/toy as if they just purchased it and agrees to return it in same or better condition than when received. LESSEE ACCEPTS FULL RESPONSIBILITY AND LIABILITY FOR ANY DAMAGE to the Craft/Toy/Boat/Snowmobile/Quad and accepts full responsibility and liability agreeing to pay for any expenses relating to the damage, including but not limited to retrieval, transportation, clean up, wages, repair, parts, shipping etc. Oregon Outdoor Sports LLC is currently using Square to process credit card transactions. 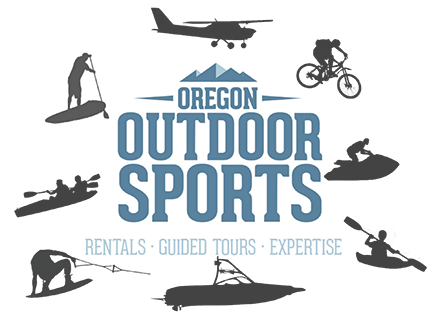 LESSEE Agrees to allow Oregon Outdoor Sports its managers or employees and or affiliates the full authority to charge the credit card they provided for any amount necessary to cover any cost related to damage. Lessee is also agreeing to these terms solely by Providing a credit card to Oregon Outdoor Sports LLC. Even under extreme dangerous conditions, Engine may blow up and shrapnel might kill nearby people. Throttle might stick and operator might be ejected into rocks at 70 miles per hour. A tire might blow and cause a 10 car pile up. Boat may leak and sink. No matter what the circumstance!!! LESSEE ACCEPTS FULL RESPONSIBILITY FOR ALL DAMAGE TO THE ITEM/CRAFT/TOY AND TO PEOPLE OR PROPERTY. PROPER WEIGHT DISTRIBUTION IS TO BE RESPECTED AND TAKEN INTO CONSIDERATION IN ALL CIRCUMSTANCES. PROPER LEANING ON CORNERS, WEIGHT LIMITS AND WEIGHT DISTRIBUTION IS THE RESPONSIBILITY OF THE LESSEE. IF THE CRAFT IS A BOAT WEIGHT LIMITS MUST NOT BE EXCEEDED AND PROPER WEIGHT DISTRIBUTION AT ALL TIMES IS MANDATORY TO MAINTAIN SAFETY. YOU ARE AT YOUR OWN RISK. FOR SINGLE PASSENGER SNOWMOBILES OR QUADS OR BIKES, ONLY ONE PERSON IS ALLOWED, OVER WEIGHT OR IMPROPER USE WILL CAUSE DAMAGE TO YOU AND THE EQUIPMENT. FOR BOATS ONLY ONE PERSON ON THE SWIM DECK AT ALL TIMES, ONLY ONE PERSON GETTING INTO OR OUT OF THE WATER AT A TIME AND ALWAYS HAVE THE ENGINE SHUT OFF. IF FOR ANY REASON THE BOAT SINKS EVEN IF THE DRAIN PLUG WAS NOT PROVIDED AND THE ITEM/CRAFT/BOAT SINKS FOR ANY REASON THE LESSEE AGREES TO PAY FOR ALL REPAIRS PARTS LABOR AND DAMAGES AND GIVES FULL AUTHORIZATION FOR OREGON OUTDOOR SPORTS LLC AND AFFILIATES TO CHARGE ANY OF MY CREDIT CARDS FOR COSTS RELATING TO DAMAGES. IF LESSEE DOES NOT HAVE ENOUGH CREDIT TO PAY FOR THE DAMAGES. THEY WILL PAY BY OTHER MEANS OR PAY FOR ALL COURT RELATED COST TO SEE THAT THE ITEM IS REPLACED OR REPAIRED AND LABOR AND TIME ARE PAID FOR. LESSEE AGREES THAT HE/SHE WILL OPERATE THE CRAFT IN ACCORDANCE WITH ALL SAFETY RULES AND REGULATIONS, AND FURTHER CERTIFIES THAT HE/SHE HAS READ AND UNDERSTANDS SAID RULES AND REGULATIONS. LESSEE AGREES TO REPORT ANY ACCIDENT, MALFUNCTION OR BREAKDOWN OF RENTAL CRAFT TO LESSOR IMMEDIATELY IN ACCORDANCE WITH THE MALFUNCTION/BREAKDOWN CLAUSE WHICH FOLLOWS. I (We) the LESSEE (S) understand that I am leasing a used craft "in as is condition" and accepting full responsibility and liability as if I purchased the item and it is my own. If I wasn't previously familiar with such item I have done extensive research on the craft I plan to use, such as watched YouTube videos studied service manuals, pictures, classes, which ever is needed to obtain the expertise required to operate such item. This certifies that I (We), the LESSEE (S) am/are experienced and capable in all aspects of the handling and operation of the craft. LESSEE agrees said craft will not be occupied by a greater number of persons that is shown in this rental agreement. d. by any other person not the signatory of the agreement, or not equally qualified. e. of the rental craft after dark. LESSEE acknowledges his/her responsibility for the safe and proper operation of the craft; and for the safety and welfare of other nearby, persons, and or passengers. It is AGREED AND UNDERSTOOD BY LESSEE that the LESSOR shall not be held liable for damages, inconvenience or time lost caused by accident, breakdown or malfunction of the rental craft. LESSEE FURTHER AGREES to indemnify and hold harmless the LESSOR and its agents, affiliates and personnel from, and against any and all claims for loss of or damage to property or injury to persons (including death) resulting through the use, operation or possession of said rental craft. LESSEE further agrees to hold the LESSOR harmless should loss or damages occur to any LESSEE’S personal property while carried in, or on, the rental craft, including loss or damage by fire, water, theft or any other causes whatsoever. LESSEE expressly agrees to indemnify and hold LESSOR and its agents, affiliates and personnel, harmless of, from and against any and all loss, cost, damages, attorney fee and/or liability in connection with the enforcing of the foregoing rental contract by LESSOR, including expense incurred in connection with attempting to collect delinquent rent and in the event of suit by LESSOR, to recover possession of said rental property and/or to enforce any terms, conditions and/or provisions hereof. It is understood and agreed that Venue and any action here-under shall be in the county of LESSOR. In the event of malfunction, breakdown, or if any defect is discovered after acceptance of the rental craft the LESSEE will immediately report it to LESSOR. Continued use of it shall entirely at the LESSEE’S risk and thus LESSEE assumes all liability of injury and damage to all persons and property that may become involved by its continued use. LESSOR’S ability to provide a rental craft if reserved, is contingent upon and subject to the return of the unit by the previous lessee, or any other cause beyond LESSOR’S control. Should any term or condition of Rental Agreement be held void or unenforceable, then that term shall be deemed severed from this Agreement and the unenforceable, then that term shall be deemed severed from this Agreement and the enforce ability and the remainder shall not be affected and will remain in full force and effect. DISCLAIMER – This Waiver and Release Agreement is applicable to all renters, operators, passengers, and users of equipment provided by Oregon Outdoor Sports LLC *(For purposes of this Waiver and Release, the term “Oregon Outdoor Sports LLC” includes all principles, directors, officers, employees, agents, representatives, servants, assigns, successors, insurers and subsidiaries of Oregon Outdoor Sports LLC). If any other rental agreement is supplemented with this Release, the provisions of this Release will prevail over any clauses in the rental agreement that are inconsistent with this Release. The rental party/renter agrees that he/she is also agreeing to this release on behalf of undersigned’s minor children. Renter agrees that he/she will disclose to Oregon Outdoor Sports LLC all potential operators, passengers, and users of said rental equipment. Renter further agrees that in the a event that he/she fails to notify Oregon Outdoor Sports LLC of all potential operators, passengers, or users of said equipment, he/she will be personally liable for any damages to the undisclosed individuals, even if such damages arise out of the negligence or fault of Oregon Outdoor Sports LLC . II. ACKNOWLEDGEMENT OF RISKS – The renter hereby acknowledges that some, but not all of the risks of participating in watersport or motorized activities include: 1) Changing water flow, tides, currents, wave action and ships’ wakes; 2) Collisions with any of the following: other participants, the watercraft, other watercraft, and man-made or natural objects; 3) Collision, capsizing, sinking or other hazard which results in wetness, injury, expose to the elements, hypothermia, drowning and/or death; 4) Attack by or encounter with insects and marine life forms, including, but not limited to sharks and/or sting rays; 5) Equipment failure or operator error; 6) My sense of balance, physical coordination, ability to operate equipment, swim and/or follow directions; 7) Wind, inclement weather, lightning, variances and extremes of wind, weather, and temperature, 9) Heat or sun related injuries or illnesses, including sunburn, sunstroke or dehydration of these risks is nit complete and that unknown or unanticipated risks may result in injury, illness or death. V. LIABILITY TO THIRD PARTIES – The Rental party hereby agrees that he/she will indemnify and hold harmless Oregon Outdoor Sports LLC for all personal injuries, property damages, or any other damages to any and all third parties, including but not limited to, operators and passengers of other watercraft and minor children under the undersigned’s custody, care, and control as a result of any and all activities related to the rental, operation, or use of equipment provided by Oregon Outdoor Sports LLC even if such damages arise out of the negligence or fault of Oregon Outdoor Sports LLC. The Rental Party also agrees that no one is allowed to use rental accept for the one who has agreed and paid for the rental. VI. ACKNOWLEDGEMENT OF WAIVER AND RELEASE – The undersigned states that he/she has had sufficient time to review the Waiver and Release and to ask any questions associated with said Release. The undersigned further states that he/she has carefully read the foregoing Waiver and Release, knows the contents thereof, and has agreed to this Release as his/her own free act. By renting or using OregonOutdoorSports equipment warrants that he/she is aware that he/she may rent, operate, or use equipment from another rental facility, but has chosen to rent, operate, or use equipment from Oregon Outdoor Sports LLC with the knowledge that using equipment/toys is agreeing to this Release, which is a requirement for rental, operation, and use of said equipment. Rental further warrants that he/she is fully aware that he/she is waiving any right he/she may have to bring a legal action to assert a claim against Oregon Outdoor Sports LLC for Oregon Outdoor Sports LLC negligence.